Arguably the first book of its kind, Computational Bioengineering explores the power of multidisciplinary computer modeling in bioengineering. Written by experts, the book examines the interplay of multiple governing principles underlying common biomedical devices and problems, bolstered by case studies. It shows you how to take advantage of the latest computational capabilities to deal with biomedical problems using an integrative approach. This approach fosters an integrative problem-solving mentality for the generation of new and novel solutions to future biomedical problems. Each chapter begins with a brief review of the advances in computational efforts in the selected topic area and ends with case studies with detailed technical information. The approach provides a relevant overview of the selected topic area and demonstrates, with case studies, the power of computational modeling in offering predictive capabilities to assess new surgical concepts and medical devices and post-operative surgical outcomes. The book illustrates the expanded capabilities of computational bioengineering through discussions of bioengineering problems and discusses an image-based bioengineering modeling technique. Although computer modeling has been used to tackle bioengineering problems for decades, a systematic study of computational bioengineering not only addresses many critical challenges facing bioengineering but also sets a new direction for advancing the field. In a long run, this book is expected to foster an integrative problem-solving mentality that will help you generate new and novel solutions to future biomedical problems. "... an excellent overview of state-of-the-art methods developed to approach complex cardiovascular problems. It provides a way to model the integrative physiology aspects of the circulatory system – an aspect necessary when dealing with "patient specific" modeling." "... very well written ... large range of computation modeling approaches discussed in the book and that have been developed to address a broad spectrum of problems in the field of bioengineering." "... presents a timely and interactive compilation of work in the forefronts of computational bioengineering. ... ideal for the use in both research and training; it will benefit and bringer closer the scientific computation and bioengineering communities." Zhang (Clemson Univ.) has compiled writings from a long list of contributors in this 17-chapter volume. 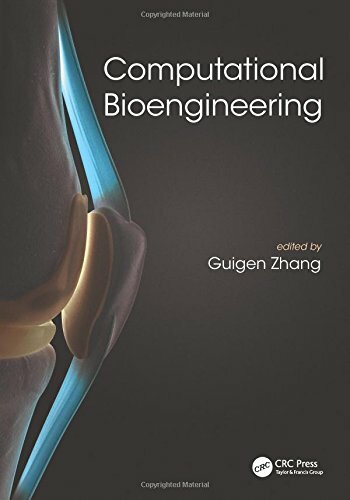 The book presents a range of examples of modern computational bioengineering topics in areas such as the cardiovascular and skeletomuscular systems, and transport phenomena and mechanics that lend themselves well to quantitative analysis. The work bridges multiple scales, from nanopores and matrix microstructure to whole organ systems. Each chapter starts with the biological background of the topic, followed by the theoretical underpinnings and then a description of a computational model, along with some representative results and often some comparison with experimental data. The chapters range in focus from basic physiology to more clinically applied biomedical topics, which will be particularly interesting to biomedical engineering students. Readers will not necessarily take away from this book the ability to implement any of these modern computational techniques, but they will gain an increased awareness of the breadth of computational bioengineering research, and a wealth of appropriate references are provided where readers can learn more. The data graphs and schematics in both gray scale and color are easy to read and informative. The book is appropriate for advanced students and postgraduate practitioners new to bioengineering.